Wow! CES 2018 certainly did not disappoint. We could barely walk 5 steps without hearing about Alexa and Google Assistant, so it’s safe to say that smart home stuff was everywhere. We saw so much technology, but these were the very best CES 2018 smart home gadgets. With Ring’s recent purchase of Mr. Beams motion LED lighting, they are launching a new line of exterior lighting called Ring Beams, which should be available by mid-April. 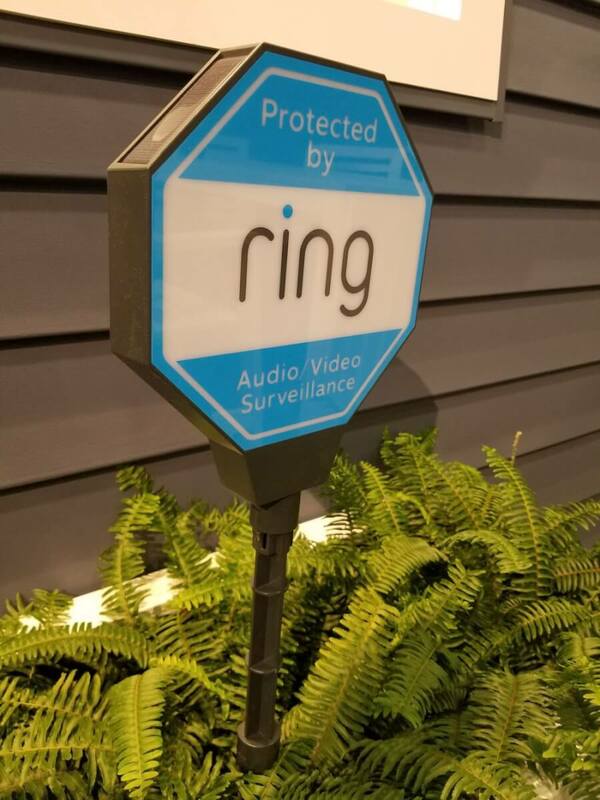 Their motion-activated lights and sensors range from battery-powered or hardwired floodlights and spotlights, to tiny weather-resistant motion sensors designed to trigger recording on your other Ring gadgets. 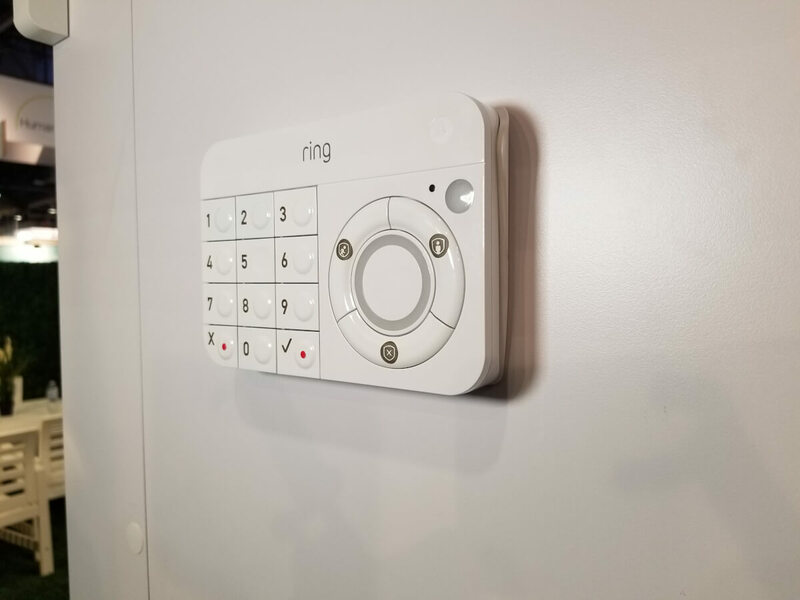 In addition, Ring is launching a new home security system with a hub, keypad, access/motion sensors, indoor camera, and range extenders. Professional monitoring 24/7 is included in the existing $100 per year cloud storage membership. Look for this system sometime in late spring. Guardian is the first leak detector that actually does something about the leak. Simply install the small leak detection sensors around your home, and when water is detected it can automatically trigger the system to shut off your water. The leak detection devices have multiple sensors to measure how severe the flooding is: during the first few drops, it will notify you of a leak, but if the water overflows to the bottom sensors, it will automatically shut off the valve. Guardian is available now. 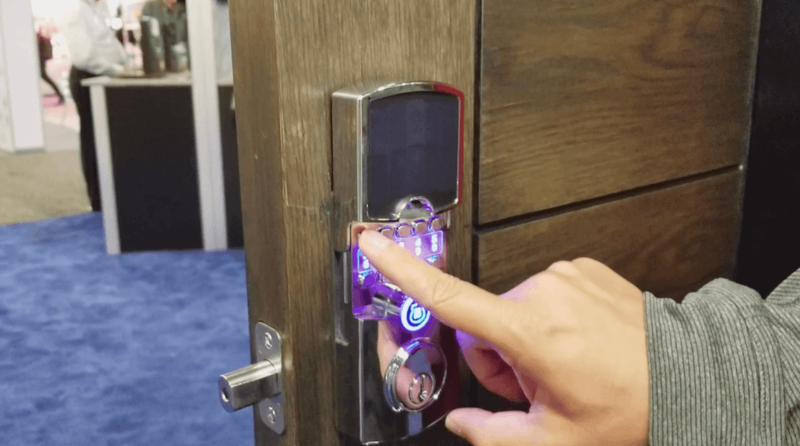 Brinks announced its new Array lock, which is WiFi based and doesn’t require an external hub to operate remotely. It has a solar panel for drawing extra power, but typically relies on its battery that recharges using USB. Slide the solar panel up to reveal an impressively hidden keypad. The lock also has other typical smart lock features, including ekeys that cannot be transferred and one-time codes. It’s available for pre-order now. 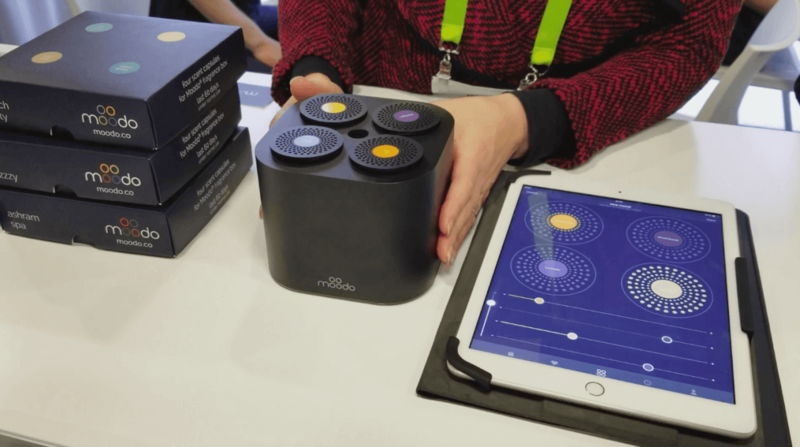 One of the many CES 2018 smart home startups this year was the Miliboo smart couch. It has a universal touchscreen remote built into one arm for controlling your TV, lights, and smart home devices. 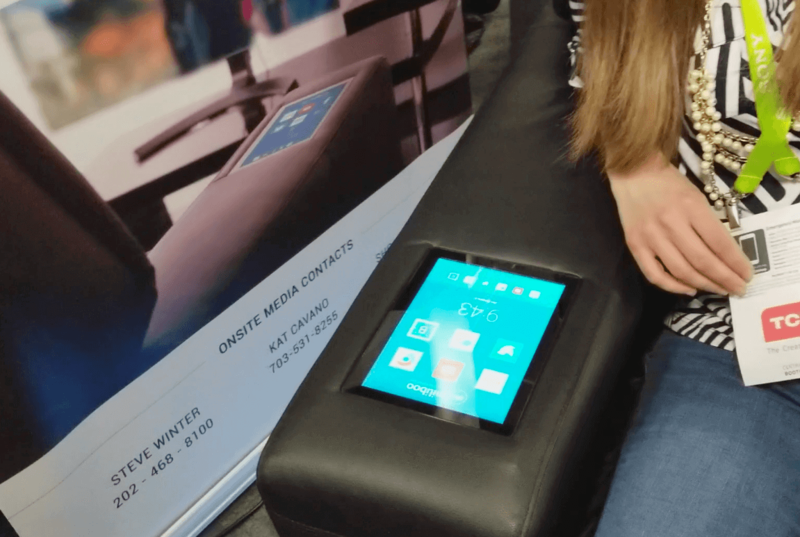 The other arm has a wireless charging station, though we couldn’t get it to work during our demo. The couch also rumbles during playback for a 4D experience. I expected this feature to be uncomfortable after awhile, but it was actually the perfect, subtle amount of rumble to make you feel like you’re at the movie theater. Whirlpool’s large 360-degree booth had three complete kitchens installed, each showcasing their connected appliances. One of our favorite features was automatic Amazon replenishment. The washer counts the number of loads that you wash, and once you are running out of detergent, it automatically sends you more. All of Whirlpool’s new appliances work with both Alexa and Google Home, in addition to Nest. One interesting integration: if Nest sees you are away and the oven is still on, your app can notify you, giving you the option to leave it on or turn it off remotely. The other interesting update was Whirlpool’s purchase of Yummly. 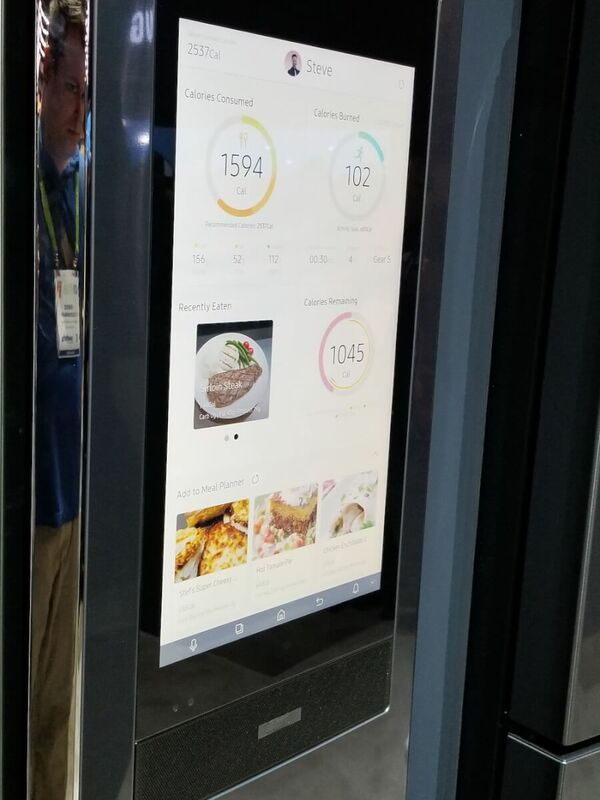 They plan on integrating the new 2.0 version of the app by letting you send recipes directly to your appliance, which will preheat to the recipe’s specifications while users follow step-by-step instructions from Yummly. This integration will come later in the year. 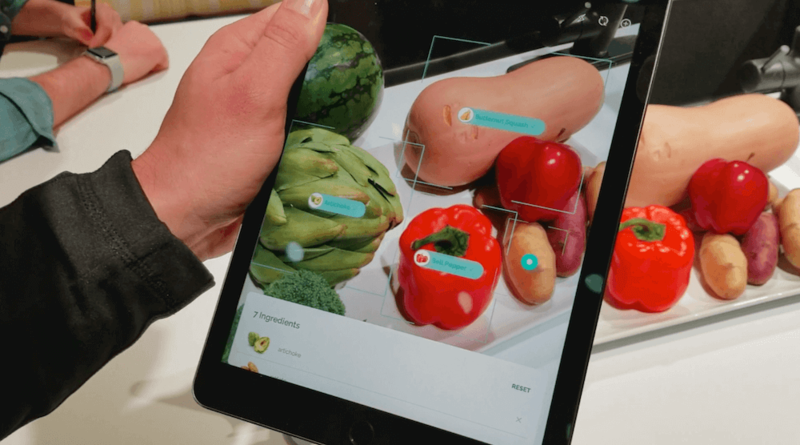 The app also will feature ingredient recognition using your phone’s camera to create recipes with the food you already have at home. This hub is an interesting smart speaker with a few advantages over the Echo Plus. Just like the Echo Plus, it has a ZigBee hub inside, but it also has Z-Wave, Bluetooth, and Google Assistant, so it’s got the complete package for controlling your smart home if you are a Google fan. It can be installed anywhere in your home and function as the control center for of all of your smart home devices. Milo has additional physical controls as well, with buttons on top and a small remote called the Pebble. These can both be programmed for your favorite pre-set controls: one button can turn on your lights, another can lock your door, etc. Milo will be available by the end of Q1. 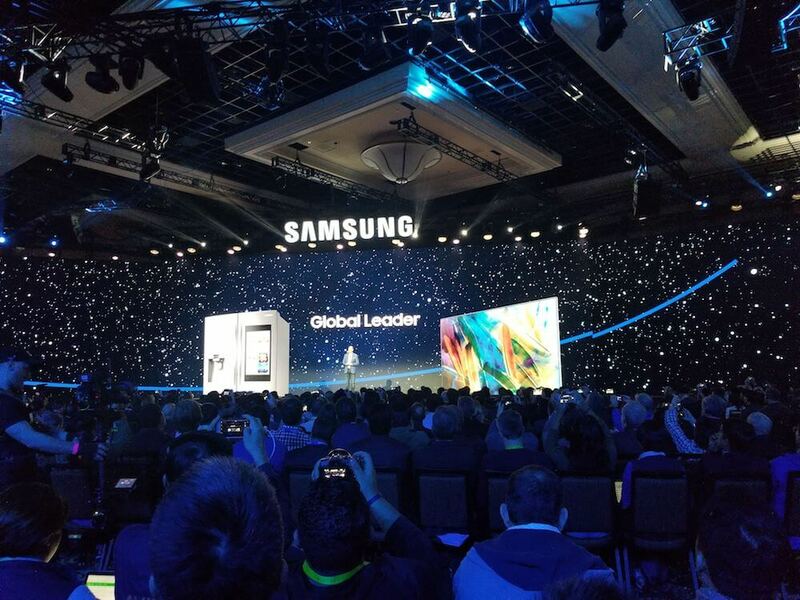 Samsung’s entire press conference revolved around SmartThings. They made the bold promise to have all devices smart and connected by 2020. They are consolidating dozens of apps, including Samsung Connect and Samsung Smart Home, all into the SmartThings app. It may be a messy process, but for now, other Samsung devices will be getting their own SmartThings apps, including the Gear smart watches, Family Hub fridge, and Samsung Smart TVs. This is a feature we’ve been wanting for a long time and will really tie together the SmartThings experience. Their new Family Hub 3.0 re-launched with Bixby, and it will also be able to integrate with your Samsung health app so you can see what recipes you can make based on how many calories you burned during your work out. Owners of second generation Family Hubs purchased from mid-2017 forward will be able to easily update their fridge for these features using an over-the-air update, but earlier versions will need to wait for Family Hub 3.0. There were a few other interesting demos where Samsung could move your preferences on the TV and lights from room to room using Bixby. One thing is clear from our CES 2018 smart home coverage: Samsung is all in on their Bixby assistant, even if consumers are still hesitant. FirstAlert wants to change your smoke alarm so it’s not just a monitoring device, but also a useful part of your home. 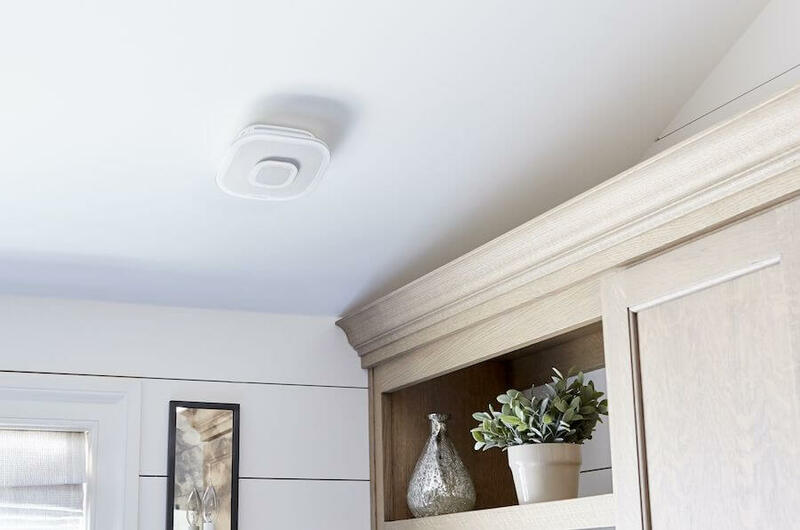 The new Onelink Safe & Sound CO and smoke detector does what you’d expect: alerts you of any carbon monoxide or excessive smoke in the home using both mobile notifications and a siren. 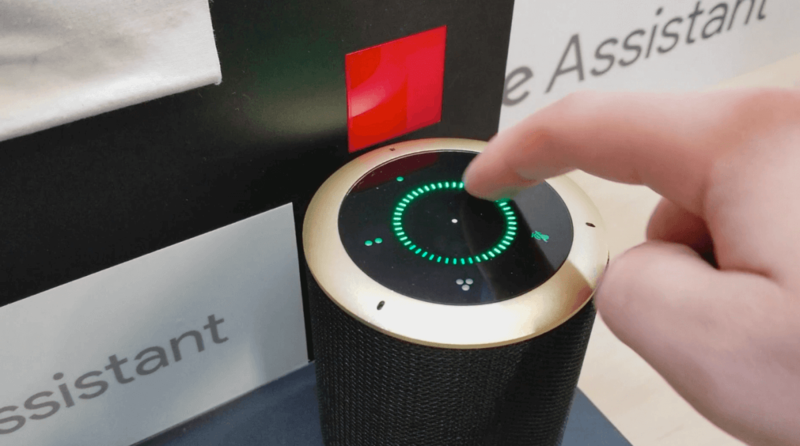 What’s surprising is that it’s also got a speaker and status light built in, with voice assistant controls from either Google Assistant or Alexa. Just like the other smart speakers in your home, you can ask Onelink Safe & Sound to play music, answer questions, control your smart home, and do hundreds of other skills. It will be interesting to test the acoustics of talking to your ceiling. The Safe & Sound needs to be hardwired since it’s always listening for the wake word. Say hello to our favorite CES 2018 smart home water bottle. 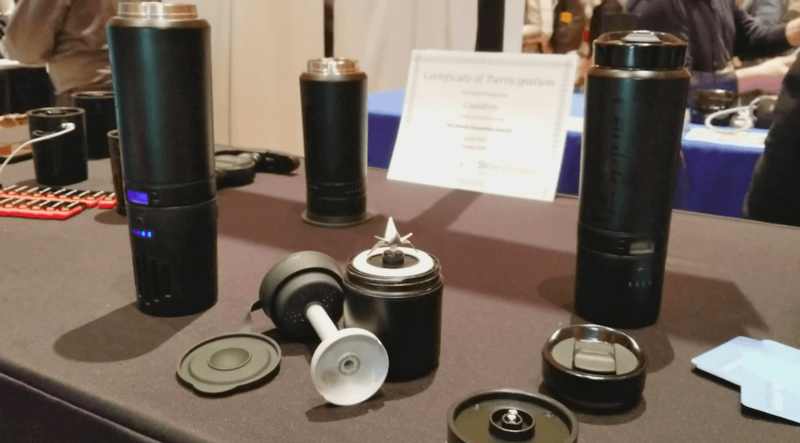 Cauldryn is a modular thermos/water bottle that can maintain a current temperature, brew using heat, or even blend. Just switch out the base for different options. The water bottle works all day on a battery, or you can use the DC power base to draw power from a car plug. As a bonus, the bottle has USB ports for charging your electronic devices. Cauldryn also showed us two future enhancements on their water bottle: a blender base, and a built-in lantern to make it even more useful in the woods. 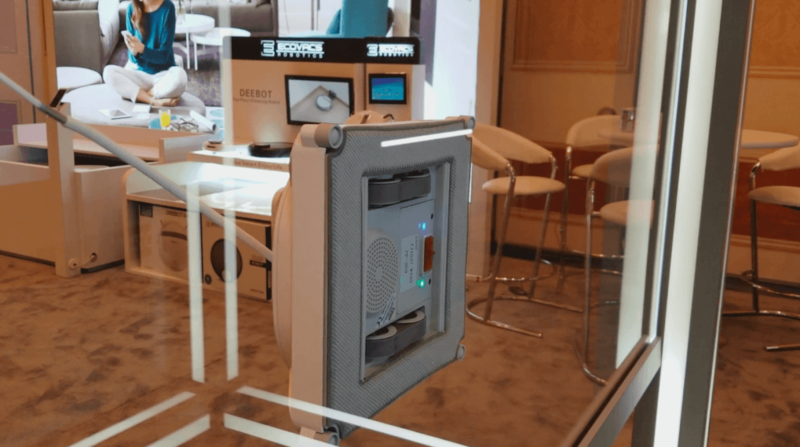 Our favorite security system of CES 2018 smart home gadgets is by Honeywell. Their new All-in-One system is designed very well. It’s a Z-Wave hub with Alexa directly built in, so it can work as a voice assistant and smart home centerpiece. But there’s also several security features, including a siren, status lights on the bottom, and a 1080p camera. The system has indoor and outdoor sensors, and if it recognizes motion, it can turn on your lights to make it look like someone is home and keep away intruders. Google Assistant and HomeKit versions of the speaker will also be available. 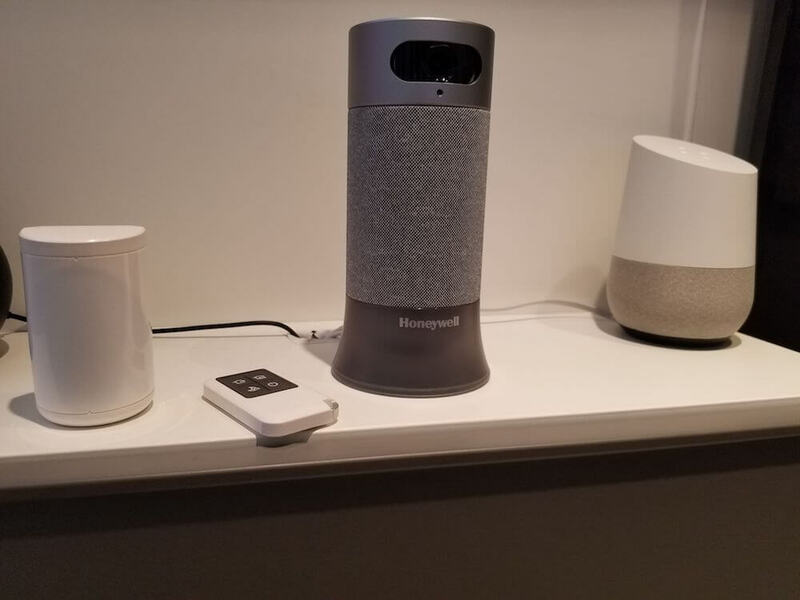 Another feature in the works is facial recognition, so the Honeywell hub can easily notify you that a stranger is at your home, or it will disarm your system automatically whenever it sees that you walked in the door. In our testing, facial recognition worked really well. The other options for disarming the system include geofencing, scanning the keyfob, or using the app. Honeywell’s system is all self-monitored as well, which removes the need for monthly fees (although only one day of cloud storage is available for the camera, so you may need to upgrade that). While there are other options like Nest Secure and SimpliSafe that almost force professional monitoring, Honeywell keeps it all DIY with this system. Their All-in-One security system with Alexa will retail during the first half of 2018, with the Google Assistant and HomeKit versions possibly releasing at the same time or later. The company that brought us the very popular Deebot is now moving into some very creative cleaning options. Their new Winbot X is a robotic window cleaner that suctions onto your glass. Watching it suction onto the window was like something out of Mission Impossible. Unlike its previous versions, it doesn’t need a power cord since it runs on a battery, although it does include a safety tether in case it loses suction unexpectedly. We also took a look at its new-ish Ozmo 930, which is both a vacuum and mop using its interchangeable parts. It also has impressive mapping features so it won’t get lost heading back to the charger and will clean all of your home. 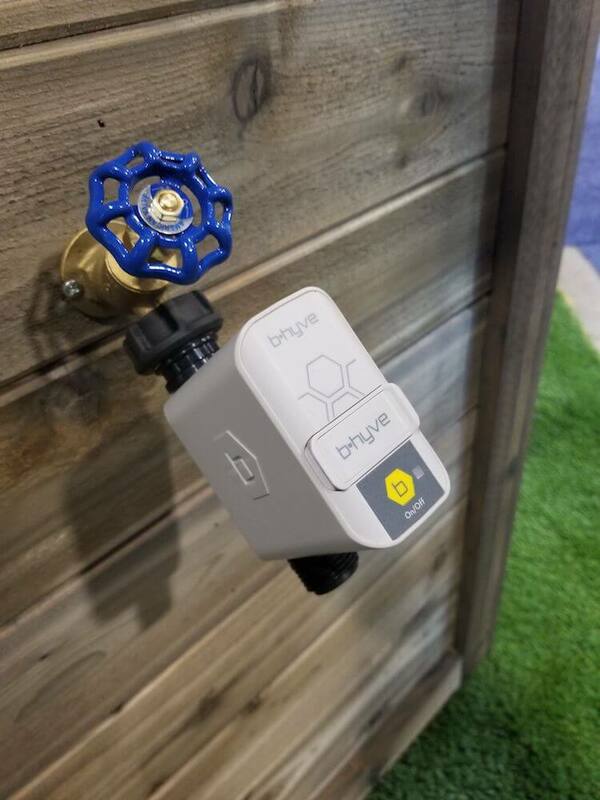 Orbit was already in the smart watering space with its original B-hyve indoor/outdoor irrigation controller. It is now expanding to an indoor-only controller that’s super affordable: $40 for 4 stations and $80 for 8. There are no on-screen controls so it’s designed to look more modern than its original version. It will be available in April or May. 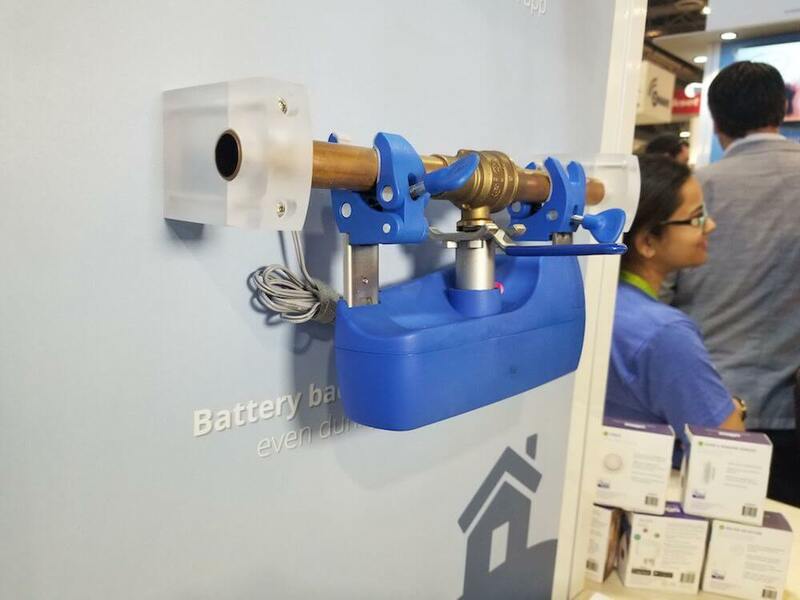 The other new CES 2018 smart home offering from Orbit is their smart hose attachment for tracking water usage and timing the water to shutoff. The new Canary View is a cheaper version of its original. At $99, the price is much lower than the original Canary, but you’ll have to give up air quality monitoring, the siren, and ethernet port. 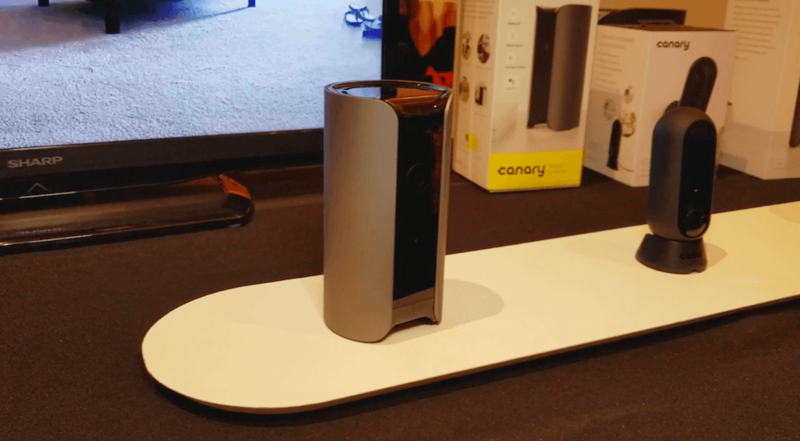 Canary View is designed as a supplemental camera for viewing other angles of your home. Canary is also launching person alerts to notify you when it specifically sees a person. Canary View is available now. One company that surprised us during our CES 2018 smart home coverage was RocketBook. They created endlessly reusable notebooks that have an impressive organization feature. By assigning the different symbols at the bottom to work with different apps (like Google Drive and Evernote), you can simply check wherever you want your notes to end up, take a picture of the notes, and it will go straight to that note taking service. Their Everlast notebook can be used forever. It feels a bit like a dry erase, and they recommend using Pilot FriXion pens for an easy wipe clean up. 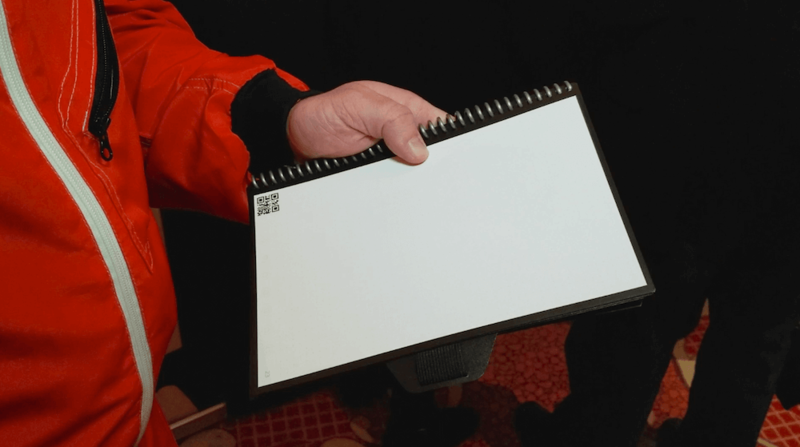 Another option is the Wave notebook, which deletes itself by being cooked in your microwave for a few seconds, although they only guarantee up to 5 uses with it. We will be testing both notebooks in the coming months and will let you know how well they work! Mesh WiFi systems are growing like crazy, and Netgear is moving this trend outdoors with its new Orbi Outdoor Satellite. This weather-resistant device extends your network to the outdoors so you can enjoy the Internet by the pool or in your yard. 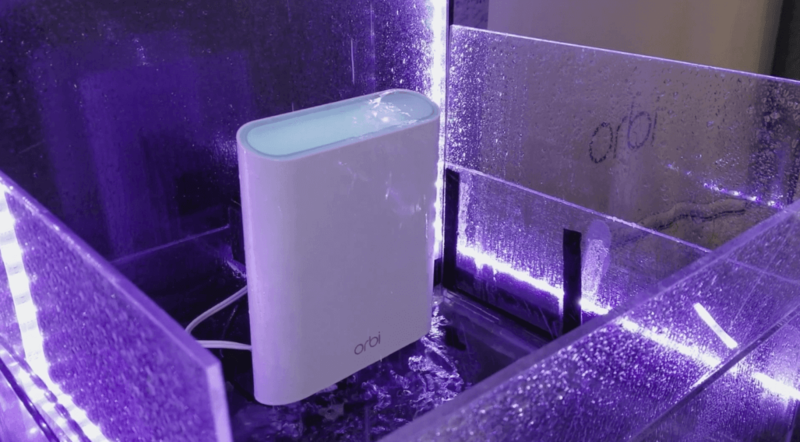 Orbi Outdoor will add up to 2,500 additional square feet of outdoor WiFi coverage, which is pretty impressive for an area that usually suffers from slow (or no) WiFi. This device is available now on Amazon. It was nice to break away from some of the odd smells around CES and enjoy Moodo. This smart scent diffuser combines 4 scents to make Scent Families, such as Beach Party. The device works with Alexa and is very easy to use: the individual scents drop right into each compartment. Their new feature is called Scent Shuffle, which rotates between the different scents to keep it smelling consistently fresh. Moodo is on sale now. We weren’t expecting to stumble upon Clarity by Cocoon Cam, but we were happy when we did. The baby monitor sits above your infant’s crib looking a bit like a golf club, all the while keeping an eye on your child in 1080p HD. It alerts parents of breathing changes and provides helpful insights into their infant’s sleeping patterns. Parents can also comfort their infant using the two-way voice. 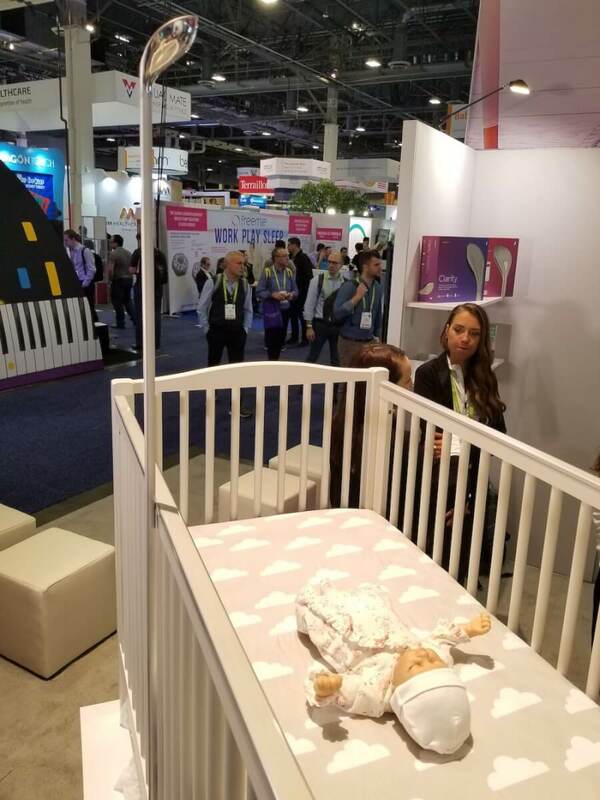 While other baby monitors exist for this purpose, they are all wearables or under-the-mattress solutions that don’t include a video camera. Clarity is still in pre-orders, but we are keeping our eye on this CES 2018 smart home gadget. High five to WeMo, who created a separate HomeKit bridge that makes your existing WeMo devices HomeKit compatible. 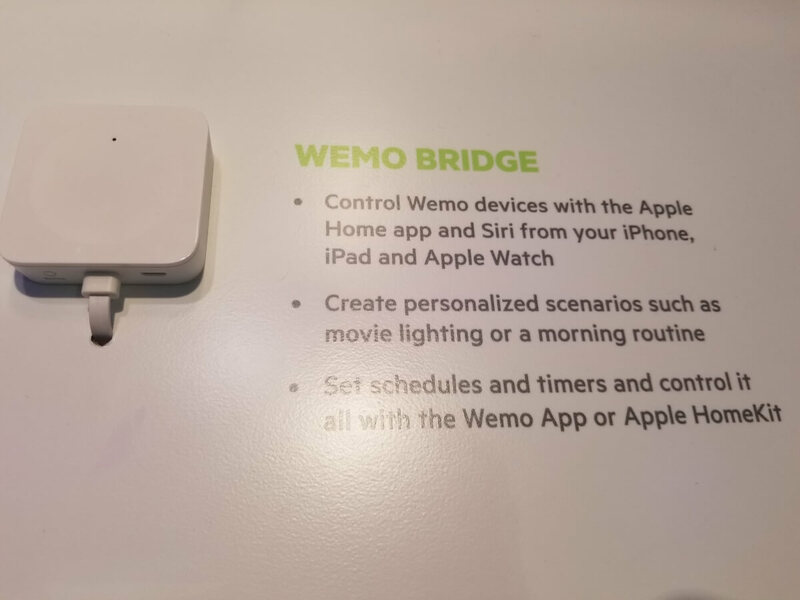 Just plug the little bridge into your router and your WeMo gadgets will work with Siri. That way, you don’t have to replace your existing WeMo outlets with a new HomeKit version. While it may seem annoying to keep the bridge plugged into your router, it’s what provides the necessary chip that connects your WeMo outlets to HomeKit. The HomeKit bridge is available now. If you wish you could sleep on a cruise ship every night, check out this interesting invention: the Rocking Bed. 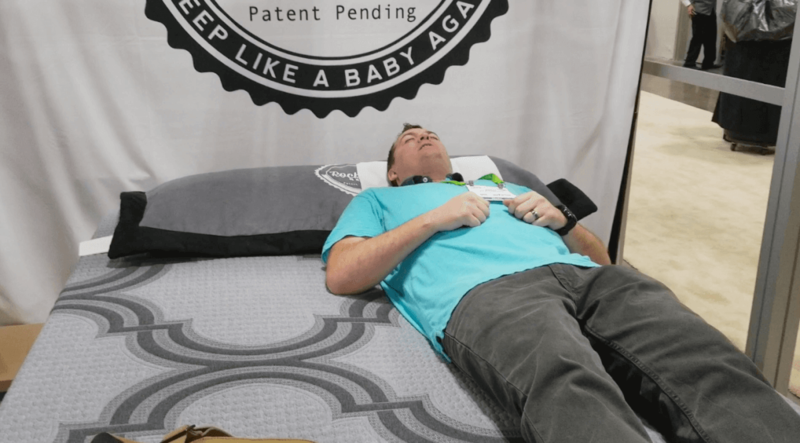 It’s one of the more creative CES 2018 smart home products that we tested, and the inventor thought of making this bed after getting amazing sleep on a cruise. The Rocking Bed gently rocks back and forth for superior sleep using its quiet motor that glides the mattress back and forth. Their clever motto is “sleep like a baby again,” summing up the bed’s goal of improving your sleep through gentle, mother-like rocking motions. The bed is currently in pre-orders and will be available during Q2 of this year. 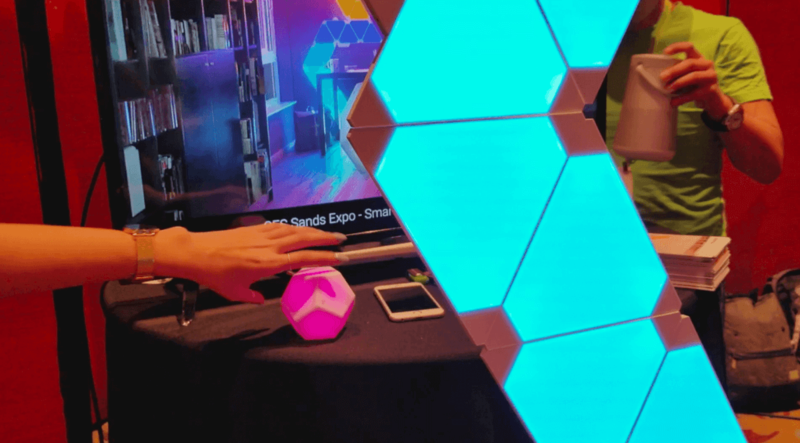 We’ve loved the look of Nanoleaf’s Aurora smart light panels for a long time, but now the brand is taking it to the next level by integrating with music. Their new lights are designed with a base station that has a microphone for syncing the lights to music. The base station also has a motion sensor to trigger the lights when you walk by. The lights were synced with music for us at CES and it looked impressive. Nanoleaf also expanded their light panels with a new square shape. You can connect up to a thousand of the square lights, as long as you include power boosters every sixty lights. Their new cube-like remote control changes the lighting, with each side programmed for a specific action so you can simply turn it over to change the lights. The square lights will be available later in 2018, and you can preorder the remote now. 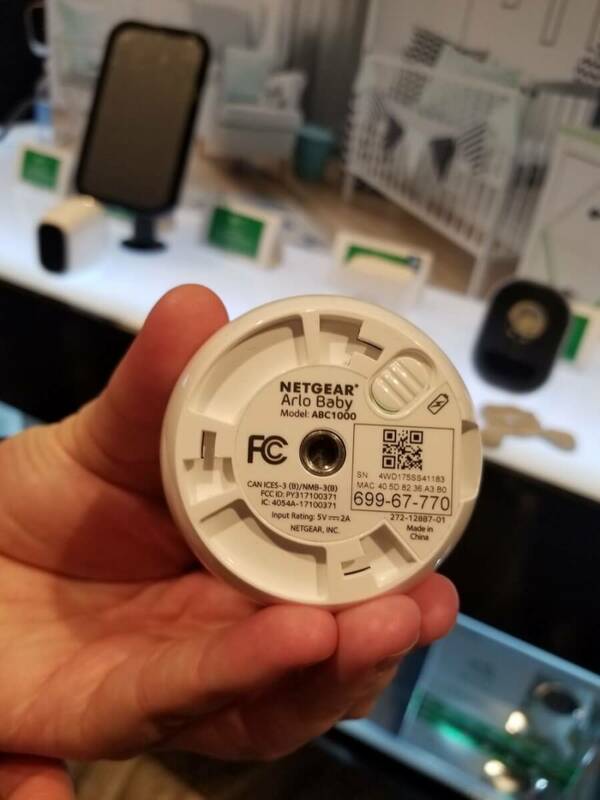 Some of the CES 2018 smart home news comes from Netgear. If you own an Arlo Baby Cam, you can officially get excited for HomeKit integration, which is coming in just a few short weeks to both new and existing devices. Integration will work easily through an update in the app. If you already own Arlo Baby, just look at the numbers on the bottom of your device to register it. Once it’s set up, you can say “Siri, show me the baby monitor” and it quickly pulls up the live feed in your Home App. If you’ve ever wanted glasses with a screen and Alexa built in, that dream is now a reality. 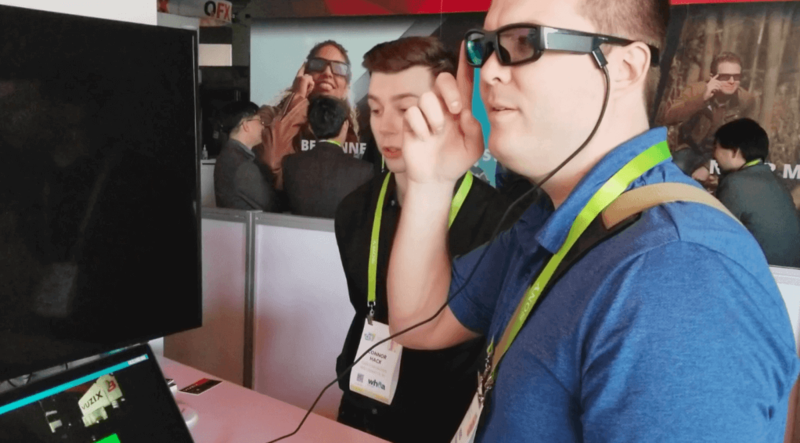 Similar to Google Glass (except normal looking), the Vuzix Blade glasses have a screen in one eye for playing games or displaying information and an 8-MP camera. It also has a touchpad on the side of the glasses that you can swipe and click for easy manual controls. In addition, Alexa will be directly built into the glasses, so you can do interesting tasks like ask Alexa for directions and see the map in the glasses. Unfortunately they did not have the Alexa functionality set up, but we tested several other controls and even beat the high score on one of the games, which is obviously what really matters. Dev kits are available now, but the glasses will not be widely sold until the end of 2018 or early next year. We almost made it through our entire CES 2018 smart home article without any bathroom gadgets, but not quite. 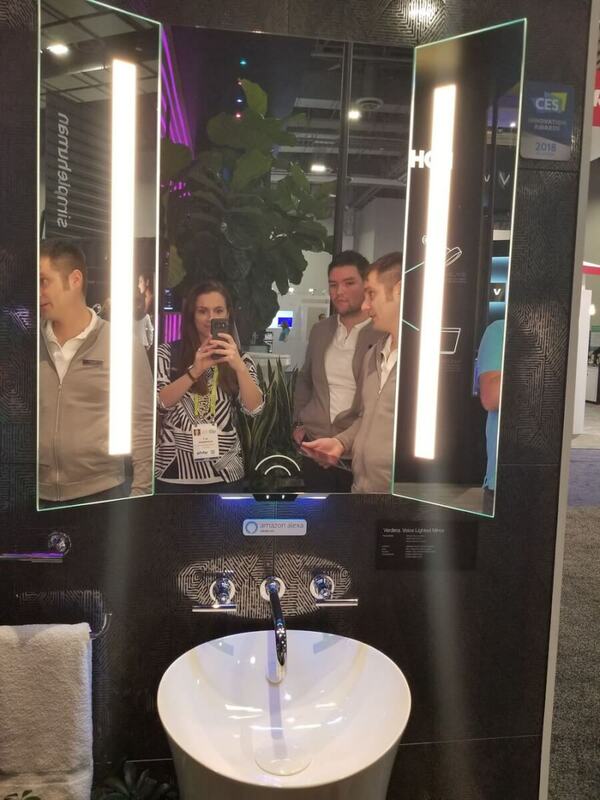 Kohler announced some major smart bathroom products, including a smart toilet, shower, and mirror. 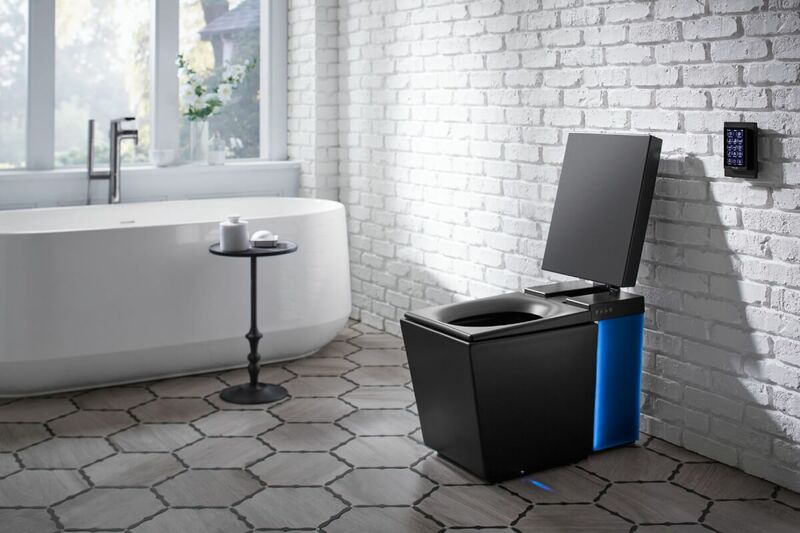 The Numi toilet allows you to set up a profile with your preferences for warming the seat, turning on the lights, playing music, and using a bidet. Once that’s set up and you’ve comfortably used the toilet, you can use Alexa voice commands or gestures for hands-free flushing. The Verdera smart mirror has Alexa built in, with a microphone, speaker, and status light at the bottom of the mirror. There are also lights around the outside of the mirror that you can easily have Alexa adjust for different situations, such as applying makeup. While it’s an interesting thought to add Alexa into a mirror, it seems like installing a Dot or other Alexa device on a shelf in the bathroom would be cheaper and almost equally effective. We survived CES! It was an exciting, exhausting, exhilarating few days, but we are just grateful for the opportunity to go. Thank you for your support and continuing to read our articles and watch our videos. 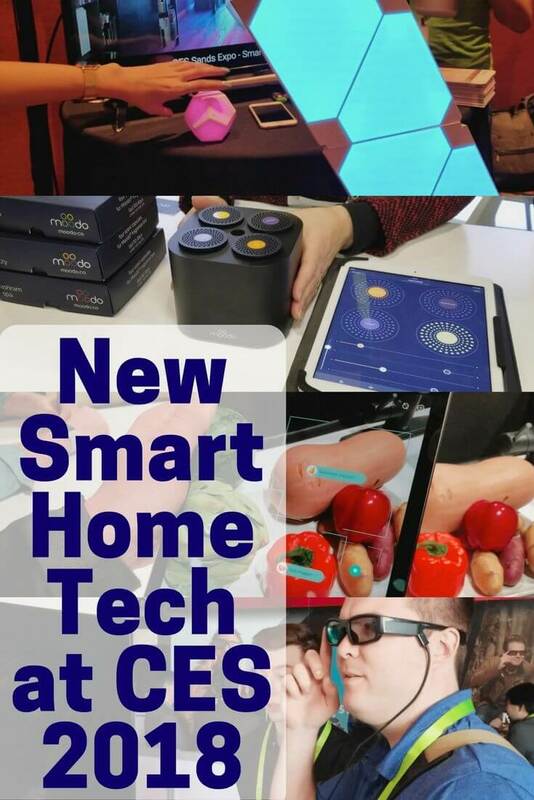 We look forward to another fun year covering many of the above gadgets, along with other CES 2018 smart home tech. Stay tuned!